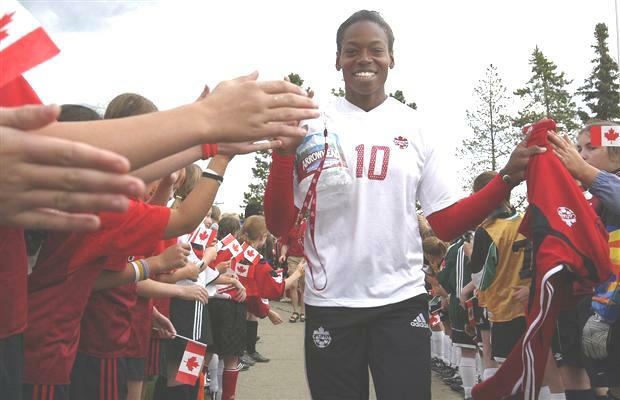 Retired Canadian Soccer player, Charmaine Hooper, will enter two Sports Halls of Fame this year. She is among nine Canadians to be inducted into the national Sports Hall of Fame later this year. And, on June 3, she will join her brother, Lyndon, in the Soccer Hall of Fame. She is the first national player to reach the 100-game milestone. Overall, Hooper turned out for Canada 129 times and scored 71 goals – both national records at the time – in a sterling 20-year career that ended in 2006. She represented Canada at 1995, 1999 and 2003 World Cups.